Your dentist in Toledo for a root canal. 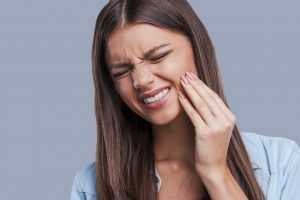 Are you suffering from a severe toothache? Maybe your tooth is infected or has suffered significant decay? No matter the reason, your dentist in Toledo at Dental Group West may recommend root canal therapy. A root canal is needed to stop additional damage to a tooth while reestablishing its health. After a root canal is performed, a custom-made dental crown is placed over the tooth to restore the tooth’s function and appearance. Dental Group West offers the restorative procedure you need to stop the pain while restoring your oral health. If you are one of the millions of American adults who are missing teeth, then you know the consequences can mean difficulty chewing and speaking. But did you also know that there could be ramifications to your general health, too? Having missing teeth puts you at greater risk for developing diabetes, cardiovascular disease and even some forms of cancer. Thus, the need to replace missing teeth is imperative. At Dental Group West, our dentists and their team offer a number of excellent choices for tooth replacement. Whether you choose a dental bridge, a partial and dentures or dental implants in Toledo, OH, you can be sure your smile will function well and look natural.